With the partial discharge testing and the dissipation factor measurement, two effective and proven methods for evaluating the ageing condition of medium-voltage cables and cable accessories have been combined in a single compact and portable device. The result is a one-step 360° cable analysis with: early detection and localisation of weak points through a PD measurement, in addition to the evaluation of dielectric ageing based on the dissipation factor values. 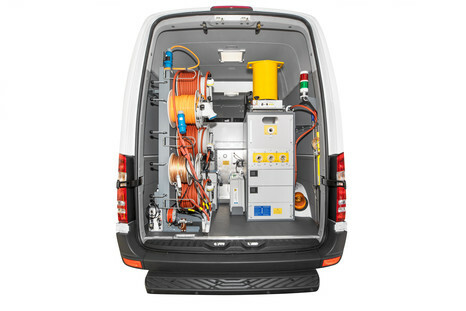 Light, robust and portable: PD-TaD is ideal for installation in the cable test vans and, in combination with PHG portable, is also suitable for mobile use in the field.